“So, Madison, you want to be a Special Forces Agent? You’re gonna have to be trained by me, you know? Great! Today we’re working on mid-section endurance and ab conditioning. Let’s begin!” Agent Madison is sitting in a chair, her wrists bound behind her so she can’t protect herself and the boxing gloved beating of Madison’s tight six-pack abs begins! At the 5 minute mark Becca unties Madison and throws her in the ring to pound on her belly while she hangs helplessly on the ropes. The end of the video has Becca holding poor Madison by the hair pounding her belly and finally knocking her out. After finding that Madison is unresponsive Becca has some fun poking and playing with the girl’s belly button. After Becca exits we watch Madison wake up, curl into a fetal position, crying in pain from the beating her poor belly endured. **This version has no sound effects for the belly punches. 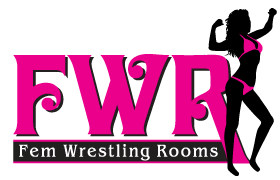 If you prefer to see a version with a sound effect please email me at admin@femwrestlingrooms.com and I’ll send it to you. Get this 11 minute, 433MB video for only $10.95!